Have you ever wondered why most planes flying today are either Boeing or Airbus? Why are there no competitors to the two big leaders (Known as a duopoly) or much more of an open market? 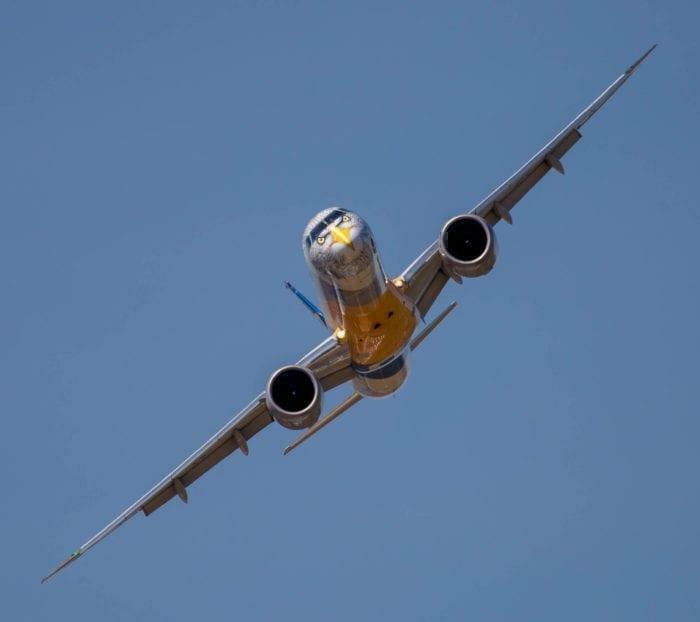 Obviously, its a big business with airline manufacturers making record sales year after year so what is stopping a new upstart from entering the game and building their own jets? 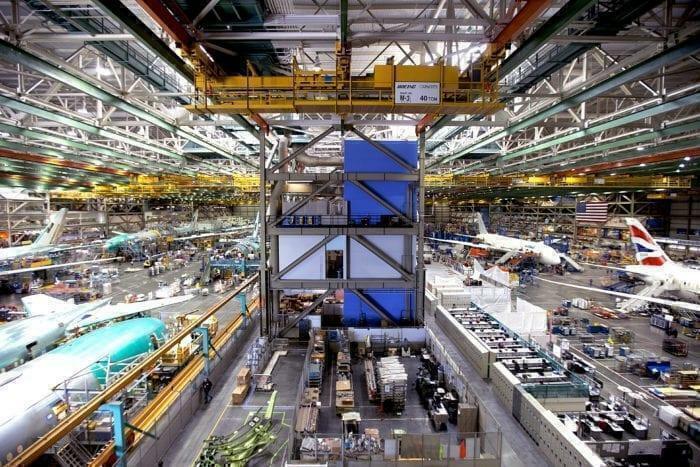 The Boeing factory can product a new 737 in a little under two weeks. 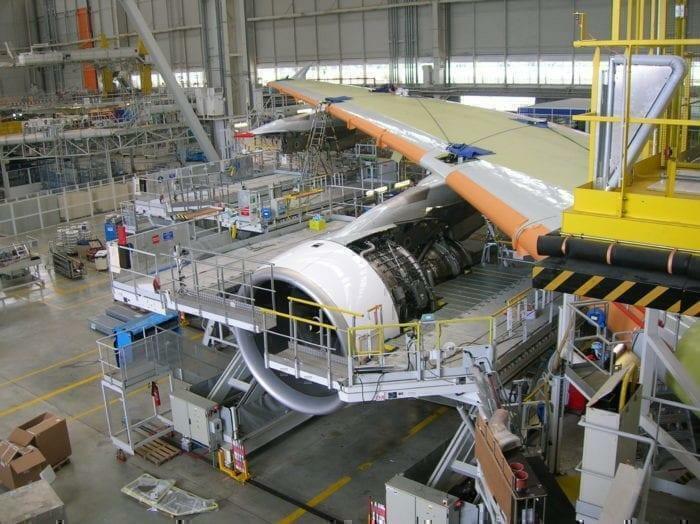 Essentially, it’s all because of the various factors that go into building and operating commercial aircraft. Here is a brief, but not comprehensive, list of different factors that you would have to consider. Expertise. All of these aircraft designs have been created from the ground up, or over years of research and development. The new Airbus A350LR that we are looking forward to flying on was first announced in 2004. It has taken 14 years for it to go from an idea to an actual physical product that can be flown by a airline. Funding. Because it takes 14-20 years to create an aircraft, your firm would need plenty of funding, in the millions (Or billions) of dollars to spend on just designing the aircraft before you can even sell it. The large players in the industry, Airbus and Boeing, have a proven track record of delivering planes that airlines trust. As a newcomer to the industry, it is almost impossible for you to get a presale without the jet already existing. Government Lobbying. In the perfect marketplace, all companies would be able to compete for the same customers. However, when one company employees thousands of people in specific locations in a country, they can actually manipulate (Lobby) the government to take action against new competitors. As seen with Boeing vs Bombardier (see below) you would need to find a way to be able to sell the jets you are building. Manufacturing. Just like you need money and expertise to design the aircraft, you also will need a billion dollar production facility and staff who know how to build them. Unlike other businesses, you can’t just get your jets made elsewhere as its such a specific industry. Government Approval. You have designed the jet, you have built the jet, you have customers… but you need to have approval from every government in the world to fly the jet. Whilst some regions like the USA and the EU will allow you to fly the plane with just one specific regulation approval, there are plenty of others that will treat you with suspicion. You will need to lobby the government to approve your new craft, possibly donate a few to the safety authorities so they can pull it apart and then hope that competitors don’t raise any problems. Aftermarket Service. If you thought that it was now a done deal, you were wrong. Just like we have seen with the Boeing 787 Dreamliner crisis, there is a variety of problems that can happen that you would be accountable for. You would need money and resources to ensure that your product keeps flying. It is for these reasons that the USA manufacturer Lockheed Martin pulled out the airline game, as they overinvested in their own designs that failed. Say you are a new billionaire and want to start operating your own fleet of planes. You want new jets, not rented from an airline leasing firm and want to buy them directly from a manufacturer. However, you don’t want to buy from Airbus or Boeing. We can assume that this is the eccentric part of being a billionaire. So who else operates on the market that you can buy from? Canadian Bombardier, makes small to medium jets in the marketplace. 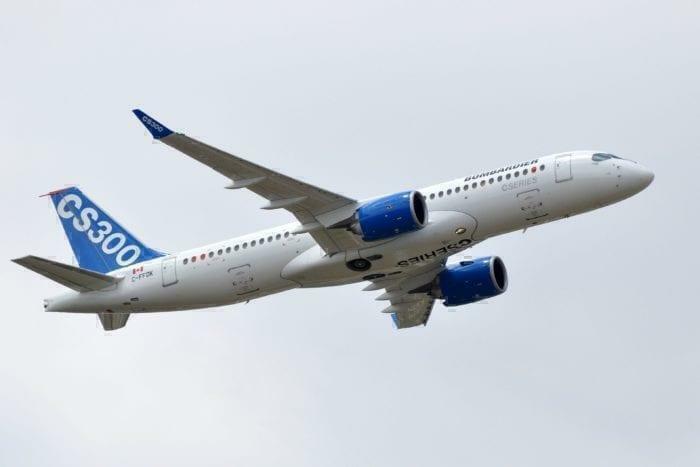 Historically, however, they overreached with its C Series – seen as serious rivals to smaller Boeing and Airbus jets – as the development costs soared to $2 billion above budget. When it came to sell its C Series to the world, Boeing slapped an embargo via the US government (thanks to lobbying) and had the sale banned. It took selling 50% of the company to Airbus to get the embargo lifted, but at this point, the C Series was wrapped into Airbus A320’s series. They now have over 300 firm orders. You may have heard of the Brazilian airline manufacture, who almost got bought out by Boeing. Unfortunately, the Brazilian government vetoed the sale as they actually also made military jets for the South American nation. But they did strike up a partnership agreement to sell their jets under the Boeing name and thus like Bombardier there was one less. The E2 lineup comprises three variants: the 88-seat E175-E2, the 106-seat E190-E2, and the 132-seat E195-E2. They have over 200 orders and it is a competitor to the Airbus A319. The first plane out of Japan in 50 years, the Mitsubishi MRJ is from the same giant manufacturing firm in Japan famous for making everything from cars to microwaves to washing machines. They hope to have the plane operational by 2020 and break up the Boeing monopoly on Japan. China has been heavily investing in creating a competitor to American and European jets. With the ambition and the resources, China stands to be a powerhouse in the aviation world and will likely beat their competitors on price. 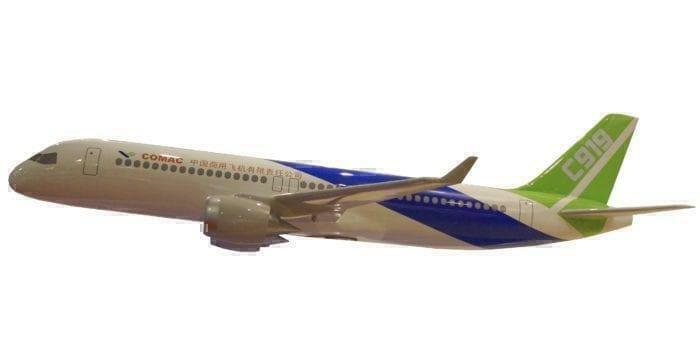 The C919 Chinese Passenger Jet. This jet is currently only been purchased by Russian companies. There is a bit of a sketchy track record for Russian made aircraft, but hopefully, this can change in the future. That being said, keep in mind that they also build components for the Airbus A320 in their factories, so its likely they know what they are going. 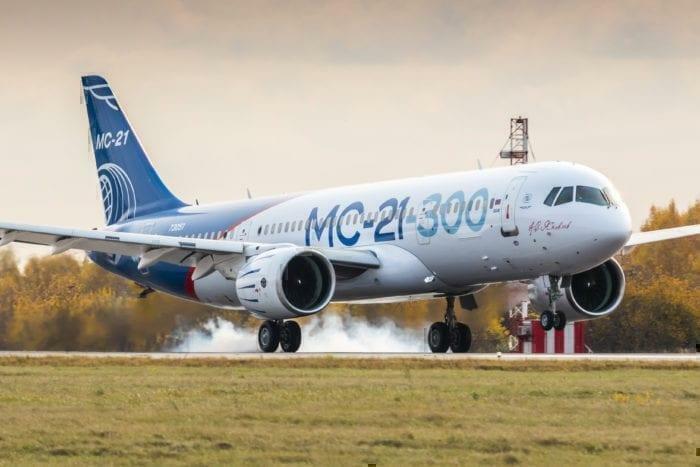 One last mention on this list is the CRAIC 929 (China-Russia Commercial Aircraft International Corporation), an aircraft that is being built in a partnership between the two nations. By pooling resources, they hope to build a 280 seater aircraft that can fly 7,000 miles, to compete with the duopoly large aircraft market. It remains to be seen if it will be successful as it is a few years away yet.